This illustrated workbook is designed to help therapists learn how to use myofascial release successfully with their patients. It is not research oriented, but more of a sharing of experiences. 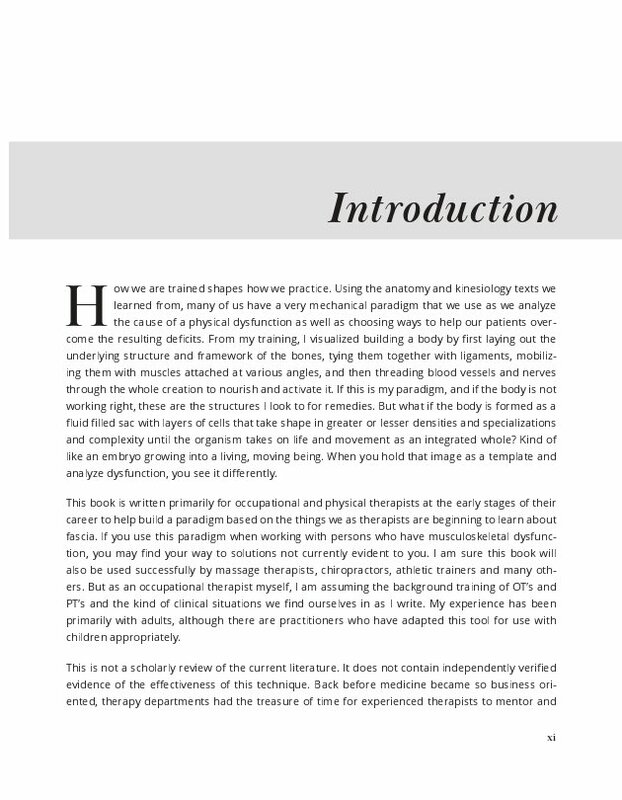 It includes ways of looking at patients with a kinesiology perspective; and extensive, illustrated examples of different releases. 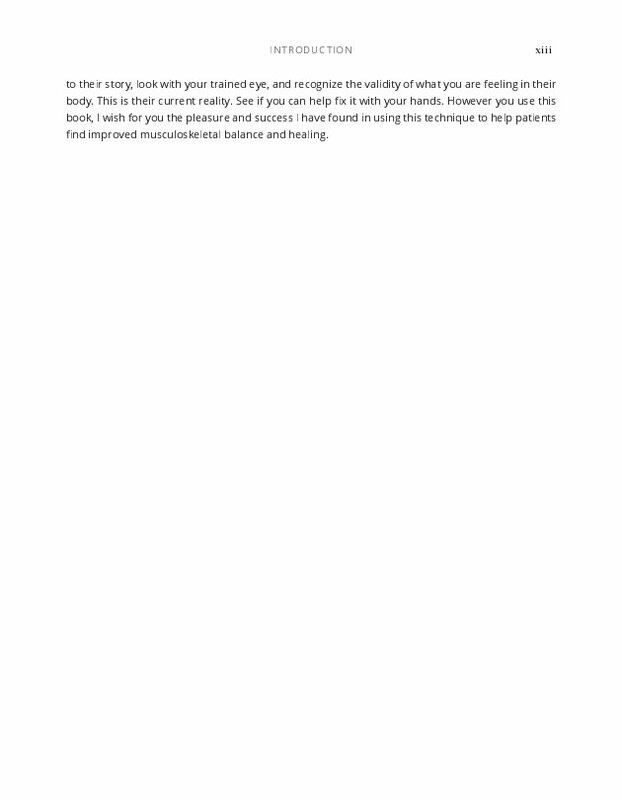 It is set up to help the therapist to practice on their own to develop skill in this manual technique. 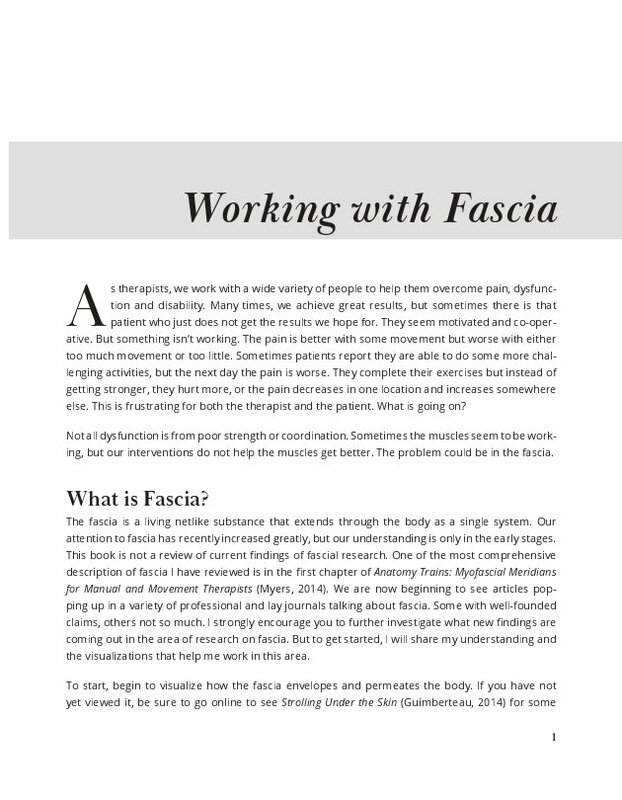 This workbook includes descriptions of fascia, how fascia might cause dysfunction, and how to perform a release. 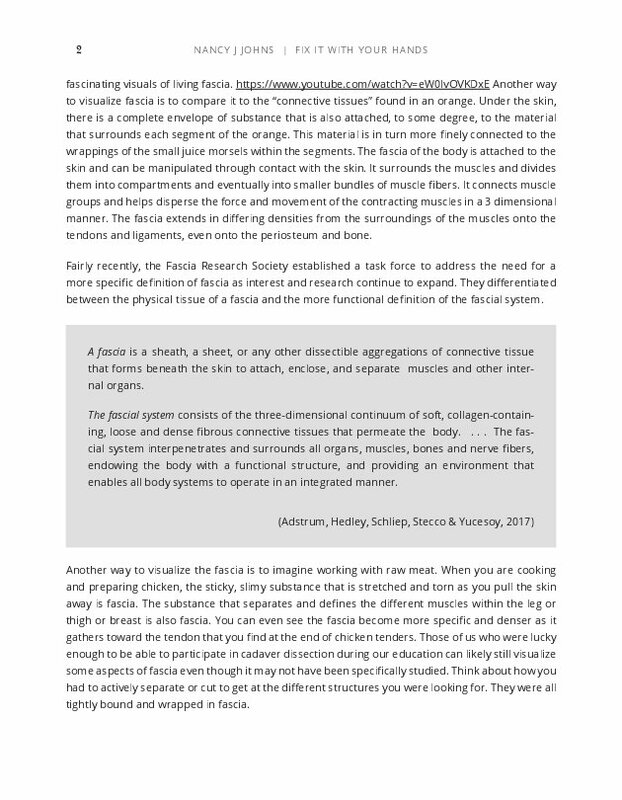 It includes ways of looking at patients with a kinesiology perspective, and examples of different releases for the shoulder, neck, upper extremity, trunk, pelvis and low back, hip, and lower extremity. There are over 100 illustrations of the therapist's hands performing the different releases on real patients. 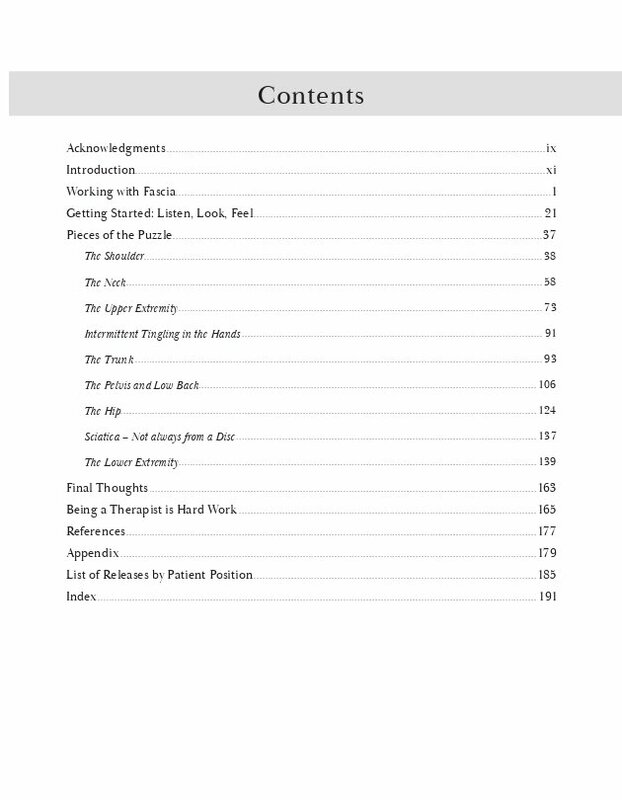 It encourages the therapist to practice on their own to develop skill in this manual technique, with a worksheet in the appendix to help structure practice sessions. There is a short section on preventative stretches for therapists to use on themselves because the work can be physically challenging. I have been an occupational therapist for over 40 years. I have held clinical and management positions in 4 different states, always trying to help people with my hands. First with therapeutic handling of patients with neurologic conditions, then trigger point work for patients with persistent musculoskeletal pain. 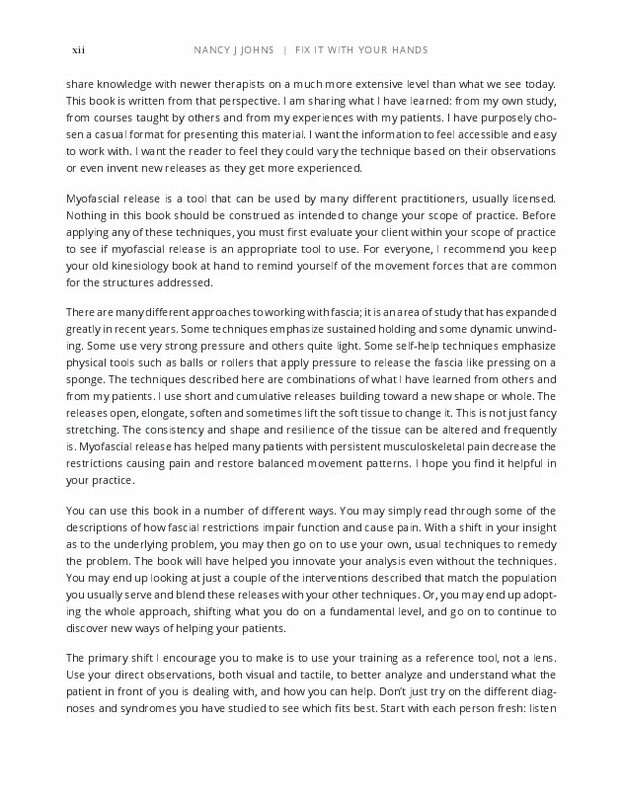 When I received training in myofascial release, my results improved greatly. For a few years I had the opportunity to teach, and teaching kinesiology really brought back to me strongly that sense of how the parts of the body work together. When I started my private practice in 2010, myofascial release was the cornerstone. 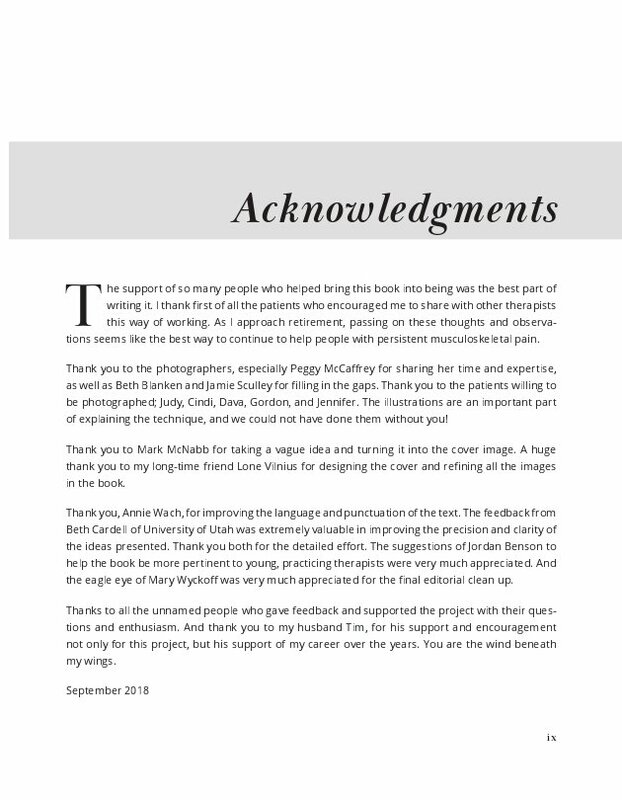 This book is the result of reflecting on the experiences of these past years. Soon I will retire in the beautiful Pacific Northwest. I hope this book brings you the pleasure and success of helping people with your hands.